It is likely that the word “Whangaroa” already means something to you. 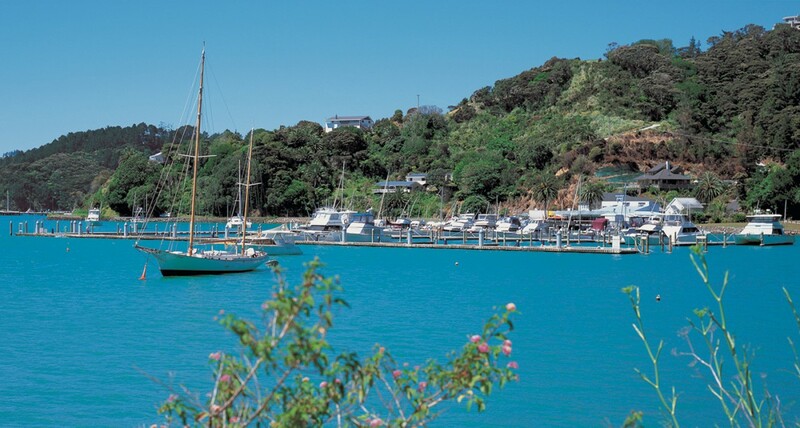 Whether it is history, fishing or diving that first alerted you to the harbour, Whangaroa excels. If you have landed here by accident, it is a very happy accident. Whangaroa lies 55kms north of the Bay of Islands, too distant for some, and all the better for it. Whangaroa is a harbour, a town and a county, rightly known for its spectacular coastline, living culture and unspoilt countryside. The county centre, Whangaroa Harbour is a comfortable, laid back and picturesque seaside town, an idyllic place to put your feet up in the evening. The area is steeped in legend, the name itself, translating to “a long wait”, harks to a legend where a Maori woman sat to watch the horizon for a husband was fighting to the south. Whangaroa’s notoriety as the setting of the 1809 Boyd Incident is reason for exploration enough, but it is the shear natural beauty that strikes you most when you visit the area. Whangaroa is also the name of the stunning, peaceful bay, the town which sits upon it (Whangaroa Harbour) and the county in which it sits. Known as the Marlin Capital or New Zealand, Whangaroa sport fishing is a huge attraction. Fishing trips for the complete novice or the experienced sport fisherman can be arranged from Whangaroa, giving you a taste of the thrill of catching a sea monster! If you need any information, inspiration or ideas, the Whangaroa Sport Fishing Club on the seafront will be certain to get you hooked. Big game fishing is not the only activity available from the harbour; sailing and chartered cruises along this beautiful stretch of coastline are easily arranged, and for those that wish to really explore, this is a stunning stretch along which to silently paddle in a sea kayak. There are some fantastic organised kayaking tours that explore the coastline too. Having a guide means that all the gems of the Whangaroa coastline, from Stephenson’s Island to Matauri Bay, you are sure not to miss a thing, including the elusive dolphin pods. The stunning diving waters north of the Bay of Islands are also easily accessible from Whangaroa accommodation. If water sports are not your thing, Whangaroa is still best explored from the sea. There are countless opportunities to explore by sea, and from the quietly lapping waters of the Bay of Islands, the world has never looked more beautiful nor at peace. Whether from the deck of a yacht, a fishing boat or the safe, chugging deck of a house boat, the scenery will certainly not disappoint. On shore, the unspoilt, protected countryside offers a magnificent array of walking. The most popular walks to take on a Whangaroa holiday, which take in the steep volcanic landscape, Kauri forests and most dramatic viewpoints over the coastline, emanate from the harbour. Maps are available from the Whangaroa Community Development offices. If that all seems like too much work on a relaxing beach holiday, Whangaroa Beach perfectly caters to the more laidback holiday – miles of golden sand, with the secluded swimming beaches of Te Ngaere and Mahinepua just around the corner. Whangaroa Golf Resort is also a great attraction for visitors to the area. Few places provide a most astonishing setting for a leisurely 18 holes.